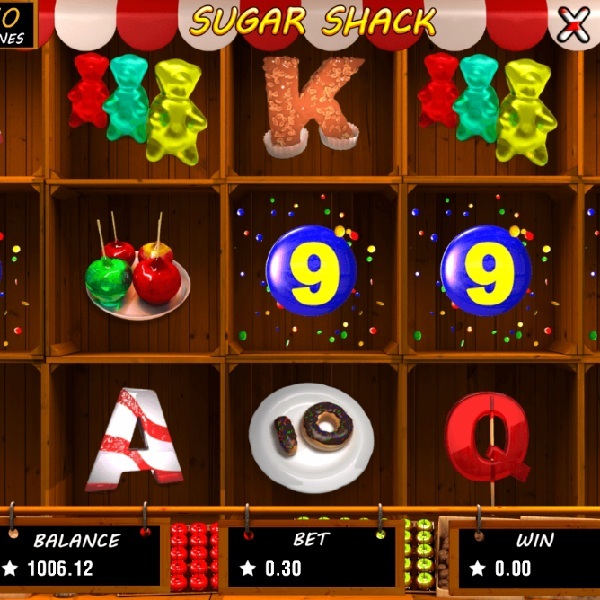 If you love all things sweet then you will certainly want to play Booming Games latest slot release Sugar Shack. It is a 5 reel slot with up to 10 paylines. The reels are set inside a shop containing jars of sweets and a pick ‘n’ mix. On the reels are symbols such as boiled sweets, candy canes, toffee apples and jelly babies. The wild symbol is a luxury chocolate and there is also a rainbow lolly scatter symbol. The free spins are triggered by landing three or more of the rainbow lolly scatter symbols on the reels. You will be given ten free spins which can be retriggered. Retriggering them once awards a 2x multiplier and retriggering them twice awards a 3x multiplier. The slot also has a gamble feature which gives players the chance to double their payout after any successful spin.